Last February, during The Panel’s annual switch day, Dr. Buckley’s “Institute of Politics” class left a lasting impression on Winsor editor Betsy Kim ’17. Expressing her thoughts on the Switch Day, she remembered being “struck by how Belmont Hill students” discussed politics, engaging in discourse that prioritized open debate and fact-based analyzation. Similarly, former Belmont Hill editors were impressed by the enthusiasm with which all Winsor students engaged in political conversations. The release of this month’s issue coincides almost exactly with the one-year-anniversary of the 2016 Election. On the campaign trail and in the past year, we Americans have witnessed a degradation of civil discourse. Polarization has increased, compromise has proved elusive, reaching respectful disagreement has become challenging, and open, reasoned discussion lacks. Instead, members of Congress are heckled out of their own Town Halls; nationalist groups like the one seen in Charlottesville this past summer spew hate and violence; single-minded politicians point fingers; and speakers are shouted down on college campuses. Observations from last year’s Switch Day, as well as these trends, prompted editors at The Panel to engage in a comprehensive investigation into civil discourse at both Winsor and Belmont Hill. The Panel’s Center Spread serves as a timely opportunity to compare an issue of relevant concern across two campuses. We seek to explore the ways in which each school’s administration, faculty, and students engage with and value political discourse. 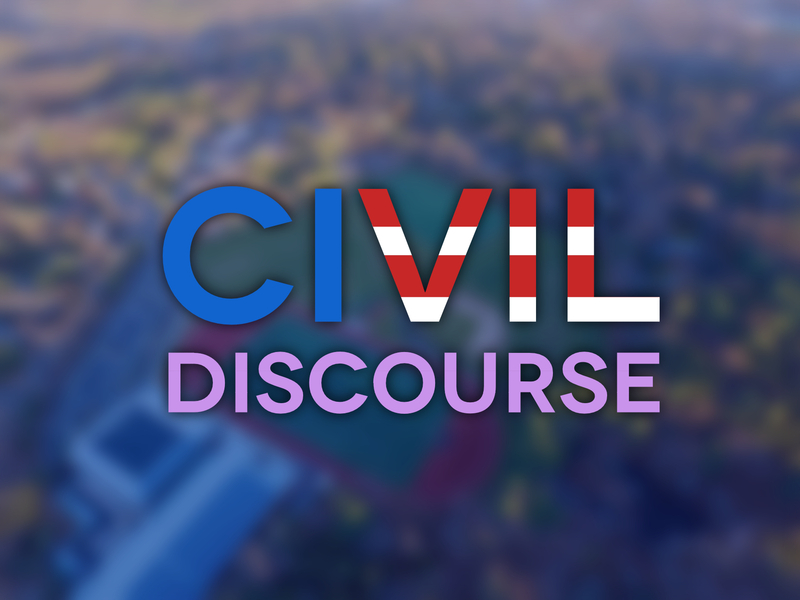 Ultimately, we hope that the following reflections enable community members to understand the approaches to civil debate at Belmont Hill and Winsor. Both schools have much to learn from one another. It was August 30, 2016, the first day of classes, and boys with shades and summer tans strolled into chapel, reconnecting with friends and faculty. The summer had been filled with insults, mudslinging, and loud shouting on the campaign trail, and as the general election intensified, it had become clear that political arguments among average Americans, as well, had lost an important decorum. Dr. Melvoin wasted no time in addressing our country’s lacking civility, and his opening address provides the perfect example of how Belmont Hill’s administration sets the tone for civil political discussion. Entitled “We Need to Talk,” Dr. Melvoin highlighted the importance of respectful disagreement at Belmont Hill, connecting issues of relevant concern—immigration, the Middle East, and Massachusetts charter schools, for example—to discussions and debates that take place around campus. Pushing aside “all the rhetoric and noise,” Dr. Melvoin primarily called for an exchange of ideas grounded in issues and facts. By encouraging students to offer their opinions without fearing attack, Dr. Melvoin acknowledged that civil disagreement would be healthy and beneficial. One day later, Harvard President Drew Gilpin Faust struck a similar tone in her convocation address to the Class of 2020. Criticizing hatred that had spread over the summer, she joined Dr. Melvoin in celebrating disagreement: “We need to feel safe enough, included enough, understood enough to dare to disagree.” A lack of political civility had become a national issue, and educators around the country have since grappled with how to address such conversations in secondary and post-secondary settings. At the same time, Belmont Hill is careful not to overdo conversation around or reaction to political issues. Classes are rarely cancelled for school-wide discussion, and faculty-initiated conversations in classes are usually subjugated to the first ten minutes of a period. As the political climate grows more polarized, returning to the refreshing regularity of classwork and routine commitment creates common ground among boys. For teachers too, Mr. Armstrong acknowledged, being able to put the news aside and focus on the task at hand—teaching, coaching, or advising—can be therapeutic. Belmont Hill’s administrative team consists of faculty members who tend to associate most with the History Department. Mr. Armstrong, Mr. Grant, and Mr. Bradley all teach History classes, and Mrs. Bobo, Director of College Counseling, used to teach Form I History. Dr. Melvoin has his doctorate in early American history and has even published a book on colonial Deerfield. As teachers who engage with the past and politics most directly with boys, they’ve successfully established a community cultivating respectful political discussion. Amidst rising polarization in political discourse nationwide, Belmont Hill faculty members are faced with a litany of questions to address: How should we address current events? Should we reference or reveal our own opinions? What is our obligation as educators to maintain neutrality in the classroom? 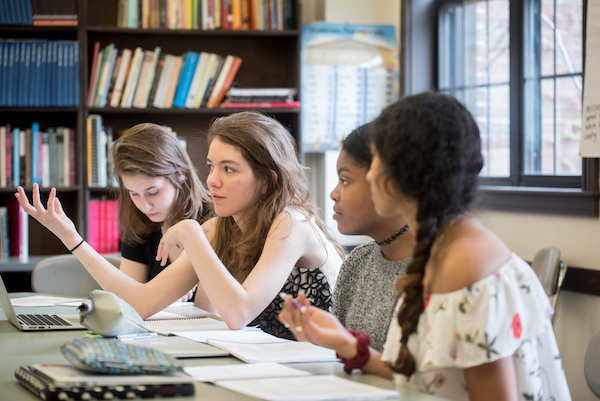 Overwhelmingly, students interviewed from both schools admire the efforts that Belmont Hill faculty take to foster an environment conducive to productive discourse. 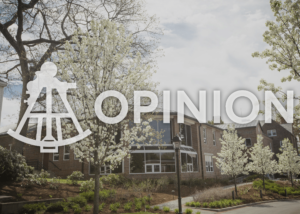 Indeed, for several Winsor editors attending Belmont Hill classes last March, the political discourse on campus served as the highlight of their experience at the school. Attending Dr. Buckley’s “Institute of Politics” class, for instance, former editor Betsy Kim ‘17 was “impressed…by how fluid and varied the political discussion was.” Among Belmont Hill students, a similar consensus is held. To better appreciate the issues faculty at Belmont Hill must face, we spoke with several faculty members on campus. For Ms. Zener, a faculty member in Belmont Hill’s history department, discussing current events is “entirely a study of power and negotiations of power throughout history.” Mindful of the reality that “teaching is inherently political,” Ms. Zener strives to embrace equality and not endorse any “isms” in class discussions. 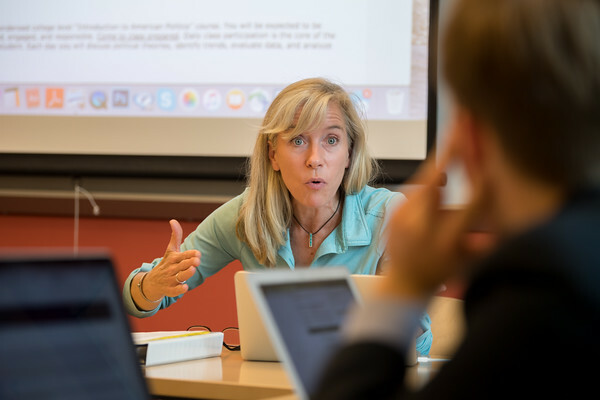 Furthermore, to alleviate the heat that often accompanies current events, Ms. Zener often looks to the past for parallels that can be used as tools to discuss fiery topics. For Belmont Hill students, expressing their political opinions comes naturally. Whether in class, with activist-oriented clubs, or through mediums such as The Podium, all Belmont Hill students have the opportunity to not only voice their stances but engage actively with their community in the process. Yet, perhaps as a reaction to the polarization of country and world politics, Belmont Hill students have become increasingly aware of how to respectfully package their political arguments. As a Form VI student heavily involved with politics, Gavin Colbert ‘18 readily paints Belmont Hill’s political climate as celebratory of political diversity. From “It’s Debatable,” an English elective on rhetoric with Dr. Tift, to contributing to student-led discussions in SAFE (Students Actively Fostering Equity), Gavin acknowledges a healthy pressure by faculty and administrators for students to actively move beyond political neutrality. Emphasizing the diversity of opinions within his classrooms, to Gavin, Belmont Hill encourages students to “grapple with their own convictions, deconstruct their assumptions, and purposefully share their beliefs with the community.” Among his classmates, Gavin adds that students always push aside their disagreements when needed. For Belmont Hill, class discussions thrive upon the political diversity bred by faculty, administrators, and students alike. As a community, Belmont Hill must preserve their commitment to an environment conducive to diverse political discourse. Belmont Hill currently adheres to standards that reflect civility and respect, but some students still do self-censor their opinions in the classroom. In History and English classrooms, politically-oriented discussions should adhere to a fact-based structure. Nonetheless, it will be important for Belmont Hill faculty and administrators to strike a tone of neutrality while encouraging students of all political bents to participate in conversations. In his opinion, we should aspire not to be neutral–but rather empathetic–in our political discourse. The act of empathizing is a tricky concept, and Mr. Didier certainly takes care to emphasize this point: “Empathizing with another is NOT the same thing as condoning their actions; nor does it require neutrality. Empathetic understandings are just better understandings, and they allow us to act or to confront in more effective ways.” Indeed, Mr. Didier’s students apply this principle in his Human Rights class, when they examine the cultural motivations behind female feticide to write compelling and effective policy memos on the issue. Ms. Hazard notes, however, that “since it’s not our country, our culture, or our society I think it’s a little easier to approach those topics given the distance.” The question remains, are Winsor students mature enough to participate in these exercises when it comes to us and our country? It is not difficult to spark a debate among Winsor students. Whether it be in the form of class discussion or casual homeroom conversation, most are eager to debate their opinions. Nevertheless, there is some degree of hesitation when it comes to bipartisan discussions. Past polls reveal that Winsor leans heavily democrat–in the 2016 mock Presidential election, Hillary Clinton won 88% of the vote while Donald Trump received just 5%. Because of the general unpopularity of right wing politics at Winsor, many students are reluctant to express sentiments that might go against Winsor’s liberal grain. Margaret Michalowski ’18 expands on a pattern in these discussions, saying “I try to talk vaguely, though I’m liberal, because I’m worried that people will misconstrue my thoughts.” She went further to express a fear that peers would interpret her acknowledgement of conservative viewpoints as agreement. There is a certainly a distinction between an ardent Trump supporter and the average republican voter. However, these voting groups are often confused, and thus some students at Winsor are hesitant to voice their conservative viewpoints for fear that their peers might associate them with Trump’s problematic platform. In fact, in our attempts to gather a variety of political stances for this article, we struggled to find a Winsor student who would comfortably express conservative viewpoints. This aversion to unfettered discussion, even for an article about the importance of civil discourse, is a testament to how political discord has become taboo at Winsor. The importance of pluralism cannot be understated. After all, the diversity of political thought is essential to democracy; it is in our very nation’s fabric. 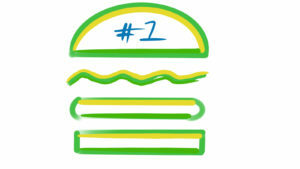 It’s important, therefore, that we acknowledge all sides of these multifaceted political issues. 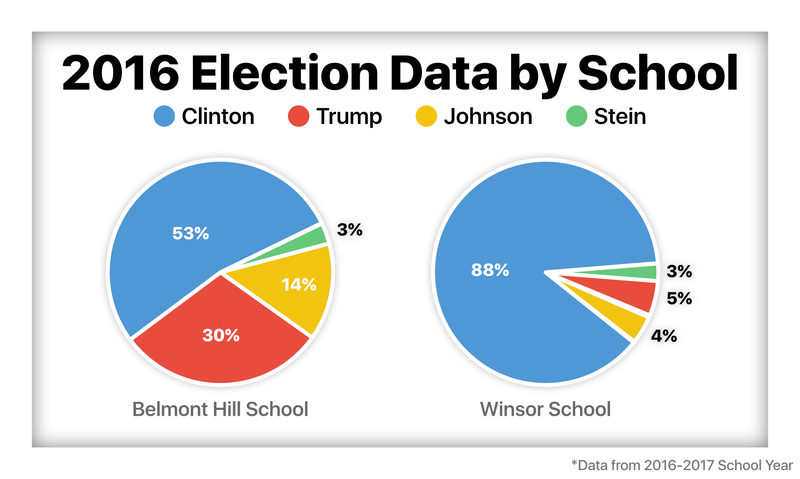 In the wake of Trump’s divisive commentary, schools across the country, like Winsor, have inevitably become more polarized. After all, gender equality, sexual assault, and racism are not issues on which most at Winsor can simply “agree to disagree.” By virtue of the fact that Winsor is an all-girls school, students here, regardless of party affiliation, reacted with deeper and more visceral outrage than their Belmont Hill peers to Trump’s boastful claims of sexual assault. When we have a president who expresses sentiments seemingly antithetical to the values of our institution, Winsor students and teachers will inevitably struggle to maintain their neutrality. But, in our opinion, this is not a problem that demands correction. We at Winsor should aspire not to neutrality–but rather to empathy, as the word is defined by Mr. Didier. We should celebrate and maintain our own convictions, morals, and beliefs, while simultaneously trying to understand the opposing point of view. Too often, Winsor students are afraid to say things like “I understand why ____ supports Trump” because they fear that their empathizing will be conflated with condoning. Yet it is this very understanding, this mental stretching, that not only allows us to grow as individuals, but also equips us to be the next generation of problem solvers. Let us strive for a culture of understanding, not political and moral apathy.